Are you being asked to manage a project with unclear requirements? High levels of change? A team using Extreme Programming or other Agile Methods? If you are a project manager or team leader who is interested in learning the secrets of successfully controlling and delivering agile projects, then this book was written for you. 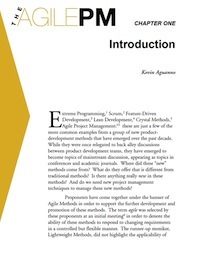 From learning how agile projects are different from traditional projects, to detailed guidance on a number of agile management techniques and how to introduce them onto your own projects, this book contains the insider secrets from some of the industry experts - the visionaries who developed the agile methodologies in the first place. Chapters focus on topics critical to the success of projects facing changing requirements and seemingly impossible deadlines. 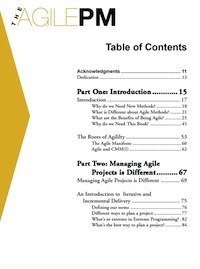 Chapters cover topics such as engineering unstable requirements, active stakeholder participation, conducting agile meetings, extreme testing, agile documentation, and how to use agile methods under fixed price contracts. The book also provides information to help you plan your agile projects better to avoid some common pitfalls introduced by the fast pace and concurrent activities common to agile development methods. 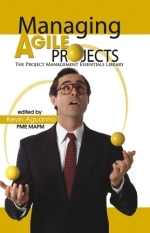 This book will show you the tricks to keeping agile projects under control.